All turbines are designed & manufactured in the United Kingdom within a continuous product improvement policy. The AirForceTM 1 turbine is supplied in kit form and tower-top ready for simple installation on a standard 48.5mm scaffolding tube pole. When high winds are forecast, we recommend that you visit the website to see an estimated forecast of the wind speed in your area (mph), and live data from weather stations around the country. By hovering over your own area on the observation wind speed map, you will see a wind speed reading from the nearest weather station to you, together with a forecast of wind speeds over the next few days. Should these wind speeds be predicted to be Beaufort scale 6 and above, (shown in shades of pink), it is recommended that the turbine is switched off. If predicted to be Beaufort 8 and above, if possible, lower the tower. It is important to take the actions to either switch the turbine off or to lower the tower before the high wind speeds are reached. If you experience wind speeds higher than your expectations and you have not switched off your turbine, switch off in a lull in the wind, i.e. in between gusts. 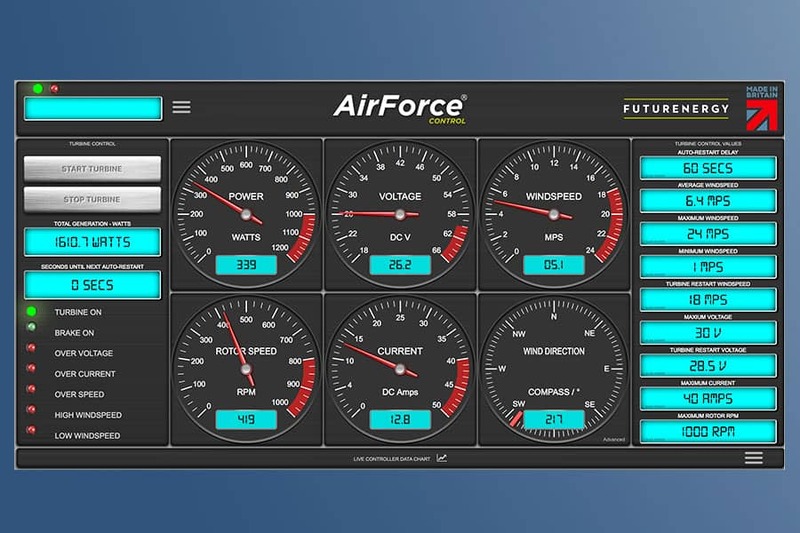 The introduction of the AirForceTM Control provides unparalleled performance monitoring and automatic system protection in adverse weather conditions. Included with the AirForceTM Control is a Davis Anemometer, that provides the system with both wind speed and direction information. The system will automatically shut-down when pre-set limits are exceeded and protect the unit from over speeding or operating with no load. When the wind levels decrease to acceptable levels the system will automatically restart. Please see our link here for DC stop switch instructions and shut-down procedure. Please see our link here for AC stop switch instructions and shut-down procedure. The FuturEnergy tower kit is strong and designed for ease of assembly. By using special ground anchors no concrete or foundations are required and this allows for the tower to be relocated if required. The tower is raised and lowered using a gin-pole of standard scaffolding tube dimensions. 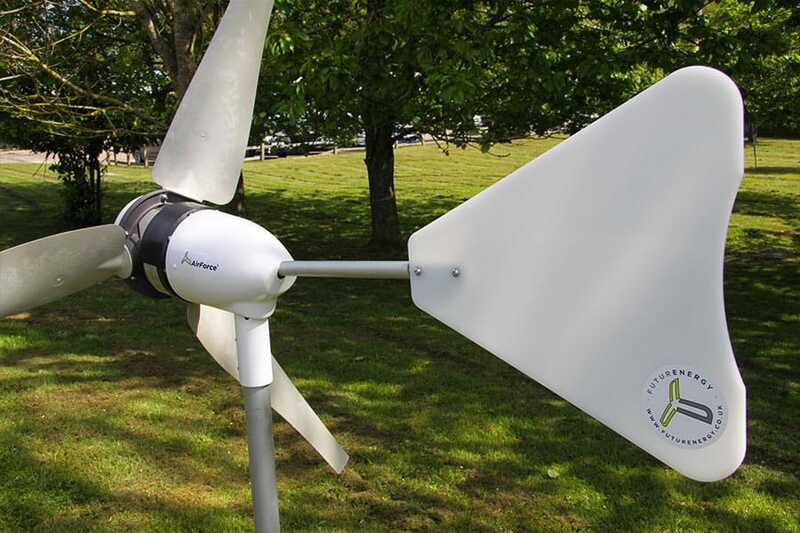 The kit comprises of all the components (excluding standard galvanized scaffolding tube*) required to raise your 1 KW FuturEnergy wind turbine (not supplied with the tower kit) to a maximum height of 8 meters. The kit includes ground anchors to meet the required loading capacity calculated from EN-61400 and designed to withstand 50-year maximum wind speeds when installed in most ground conditions. The kit includes tube and gin-pole couplings, galvanized wire rope assemblies with tensioners, brackets and full instructions for assembly. *Galvanized scaffolding tube (48.5mm O/D x 5mm Wall) is available from builders’ merchants. 2 X 3m and 1 X 2m lengths are required for the maximum 8m height. 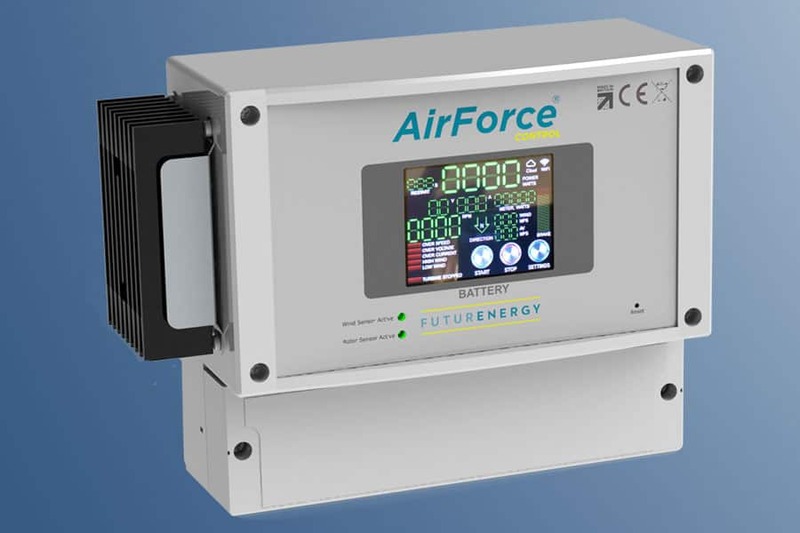 *Note* Low Voltage (LV) indicates all turbines with PMG providing 12V, 24V or 48V. High Voltage (HV) indicates all turbines with PMG providing greater than 48V.